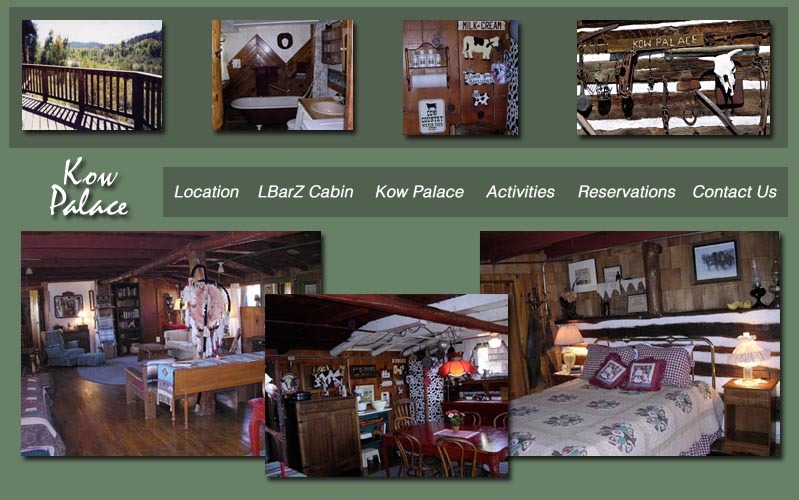 Our Kow Palace cabin is loaded with charm and history! Converted from an old cow barn, this rustic cabin features antique furnishings, a beautiful deck overlooking the San Juan River, modern appliances, stone fireplace with wood stove, bedroom with one queen and one twin bed, washer/dryer, and large living room with full size couch and extra bed. This 1 bedroom, 1 bath cabin sleeps 4-6 and is fantastic for hunters, fishermen, and anyone who enjoys country living! Pets are allowed with permission. Available June - October. Rate: $145/night. Pets allowed with permission. Call 970 946-0401 for off-season rates Prices are subject to change without notice. 50% down payment required at time of reservation. Down payment is not refundable if we cannot re-book the cabin.